The Texas delegation in the U.S. House will hold a rare, bipartisan meeting to discuss Congress' role in Hurricane Harvey's aftermath. The National Flood Insurance Program is among several issues taking on new urgency since the storm. WASHINGTON – It's hard to find anyone who can remember the last time all 36 Texans in the U.S. House came together for a delegation-wide meeting. But that's just how cataclysmic of an event Hurricane Harvey was to the entire state: U.S. Reps. Joe Barton, R-Ennis, and Henry Cuellar, D-Laredo, are gathering all of the Congressional Texans together later this week to sort out how the delegation can best use its size and influence to advocate for the devastated Houston, Beaumont and Corpus Christi regions. 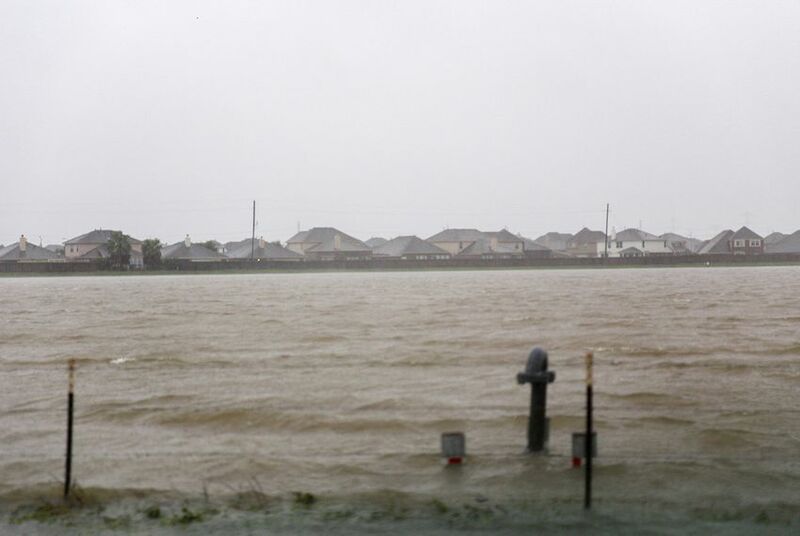 "This is not a normal time," U.S. Rep. Pete Sessions, R-Dallas, told reporters Tuesday when asked to forecast how the Congress will tackle a whole host of fiscal issues this month, including how to address flood insurance in Houston. The U.S. House is set to cast the first votes for an initial round of Hurricane Harvey relief funding Wednesday. But Congress is also facing a Sept. 30 deadline to reauthorize the National Flood Insurance Plan, which is the arm of the government that settles the claims of flood insurance policyholders. The program was, as U.S. Rep. Gene Green put it, "way over-committed," even before Harvey. But given the damage of that storm and concerns about a new one, Hurricane Irma, that appeared Tuesday to be headed toward the Florida coast, Congress is all but certain to commit more funds to the program. That's the question facing the limited-government Republicans who dominate the delegation, and Congress, for that matter. Delegation sources tell the Tribune they are confident they have the legislative muscle to secure some renewed funding. But the scale of the damage is still an unknown and many of these fiscal conservatives are already becoming anxious over the size of the estimates. For some in the delegation, the goal is to avoid taking any hard stances as negotiations continue in the coming days and weeks. Also, flood insurance will not help everyone affected by the storm. Only 17 percent of homes in the hardest hit areas in the state had flood insurance, according to a Washington Post analysis. For those who do have coverage, a homeowner can expect up to $250,000 to cover damage to the structural house, and $100,000 for belongings inside the home. The funding problems escalate as members of Congress ponder how – or even whether – to help homeowners who did not have flood insurance. Green, a Houston Democrat and a flood insurance policyholder himself, has seen several hurricanes blow through Houston in his 25 years in the U.S. House. "What happens if you don't have flood insurance, [the Federal Emergency Management Agency] gives you a certain amount," he said, often in the form of a Small Business Administration loan far less generous than the payments received by those with flood insurance. Several members concurred that funds could be diverted from the Small Business Administration into loans. But the concept of backing every damaged home is daunting. And not everyone is a fan of the National Flood Insurance Program. The program was created decades ago, when the business model for flood insurance was unsustainable in the private market. To critics, it is a government-funded moral hazard that encourages citizens to build homes in places where they should not exist because of the costs and likelihood of flooding. One of the chief critics of the program is a Texan, U.S. Rep. Jeb Hensarling, R-Dallas. From his perch as the House Financial Services Committee chairman, he is an advocate for radical changes to the program including ones designed to encourage more private insurers into the market. Still, as Texans returned to Congress Tuesday night, greeted by colleagues from other parts of the country with hugs and sympathy, a measure to extend the flood insurance program past its looming deadline seems likely to pass in some form. For Green, though, this is a no brainer. "It's not a tough vote for me because of where I come from," said Green.